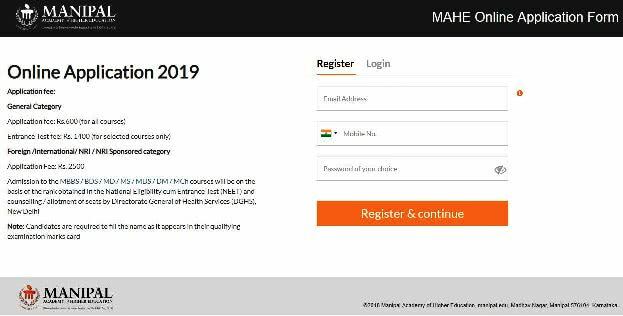 MU OET 2019 Application Form: Manipal University will conduct an online entrance test i.e. MU OET 2019 at university level to provide admission to the various UG, PG and other courses in the field of Engineering & Technology, Pharmacy, Applied Science etc. 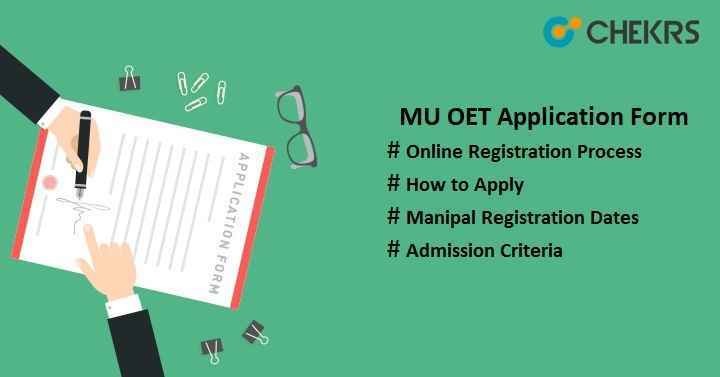 Latest Update:MU OET Application Form is Available Online!! Fill it before the Last Date. Check the Procedure Below. All interested and eligible candidates can apply for the MU OET Registration Form. To appear in the entrance test, candidates need to fill and submit the application form on or before the last date.Here we have mentioned the step by step procedure to fill the application form, entrance exam fee, criteria, etc. Check the tentative date of MU Admission 2019 in the given below table to get to know the exam dates, counselling date etc. The application fee can be paid through both online and offline. MU OET Examination Fee will be non-refundable/ non-transferrable/ non-adjustable. Payment can be made through payment gateway via credit card/ debit card or net banking. Candidates, who want to submit the fee through offline mode, must take the print-out of filled application form and then send at the given address along with the demand draft in favor of “Manipal University”, payable at Manipal/Udupi. The Payment can be made online through Net Banking/Credit Card/Debit Card and offline with Demanded Draft. The application form can be filled in the 3 simple steps. Check here how to fill the MU Entrance Exam Registration Form. Follow the link to apply online https://apply.manipal.edu. Then go the Admission section. Now click on Apply Now. New page will appear as shown above. Login or Register by filling all the details. Now Click on Register & continue or Login. Next step is to upload the required images like photograph & signature. Click on “Choose file” to upload recent passport size photograph with light or white background. To upload signature, click on “Choose File” and select the file. Signature must be signed by the candidates on a white paper with black/ blue pen only. Then Click on “I Agree” button to agree on the declaration message. Select at least 2 test centers as per your convenience or choice. Select the programme or course for which you want to apply and then pay the fee. Click on “Submit & Continue” and then wait for the completion of transactions. After successful transactions, take the print-out of the application form for future use.